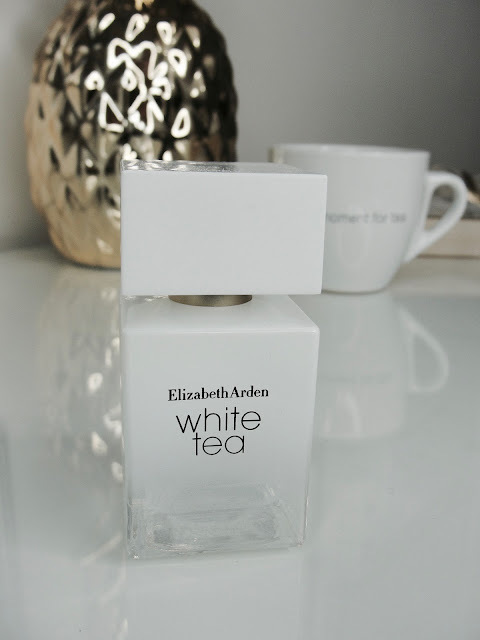 If you happen to be a tea-lover (like me- though in the morning I need a STRONG coffee lol), you have to try the new fragrance by Elizabeth Arden: White Tea Eau de Toilette is inspired by the simple pleasure, that you get with your first sip of tea! 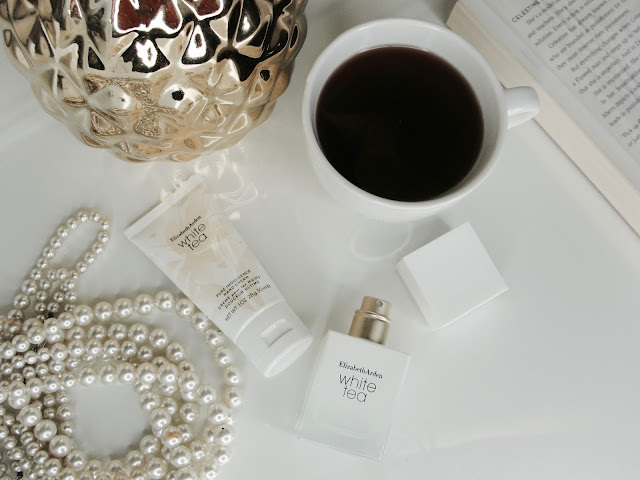 Elizabeth Arden White Tea Eau de Toilette smells feminine, uncomplicated and elegant. I always love fragrances that have light, clean floral scents with a little woodsy and musky under-tones to give it deepness and I am certainly not a fan of overly sweet perfumes. Just mentioning, cause we all love different fragrances, right? And this is exactly what you will find in here: a musky-woody floral scent with sparkling Italian mandarin and sensual sea breeze accord. Its Zen-like heart of white tea extract, Turkish rose absolute and mate absolute Paraguay provide the femininity of the fragrance while madras wood, ambrette seed absolute and a trio of tranquility musks give this scent the rich deepness. 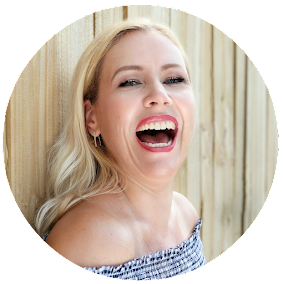 This is a beautiful composition that is easy to wear everyday without feeling overwhelming. I also love the simplicity of the bottle! White and matte gold look effortless yet elegant. 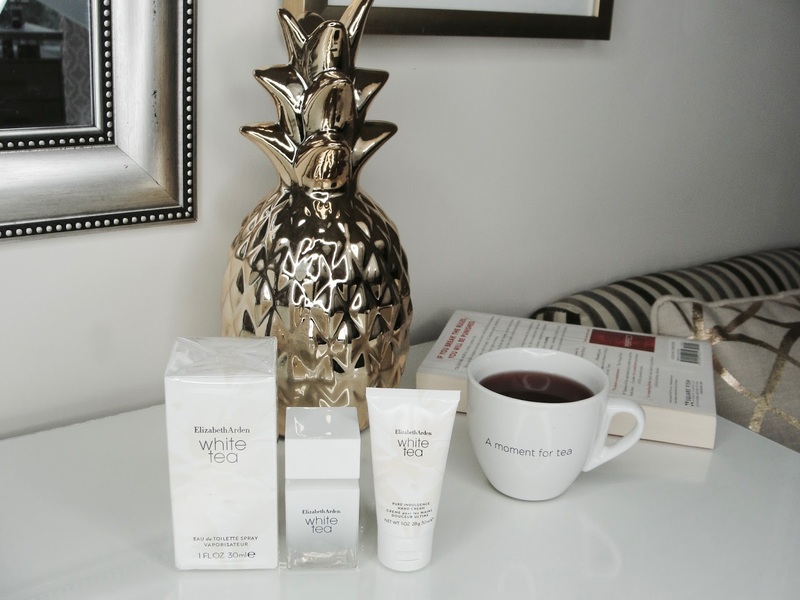 There is also a hand cream ($9.50) with the same beautiful scent available! A good way to try out, if you like the fragrance! 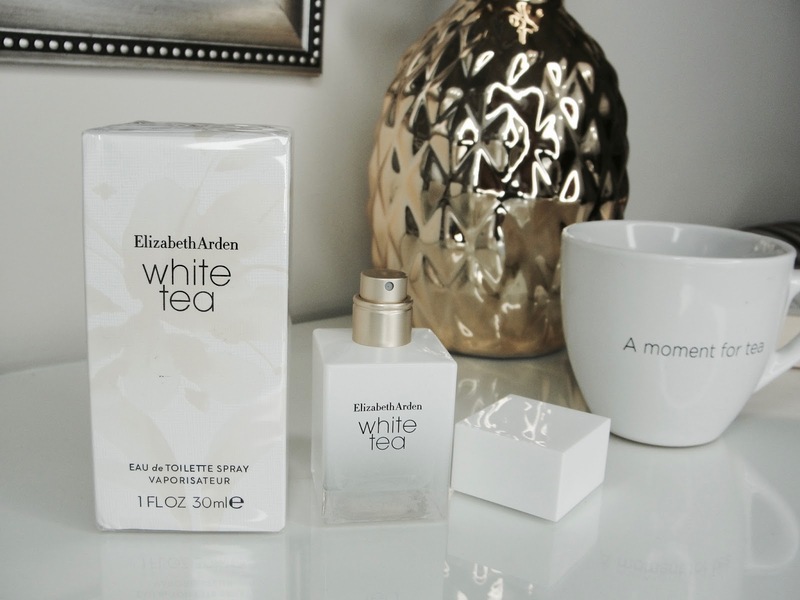 Elizabeth Arden White Tea Eau de Toilette is available at Ulta ($37 for 1.7 oz).